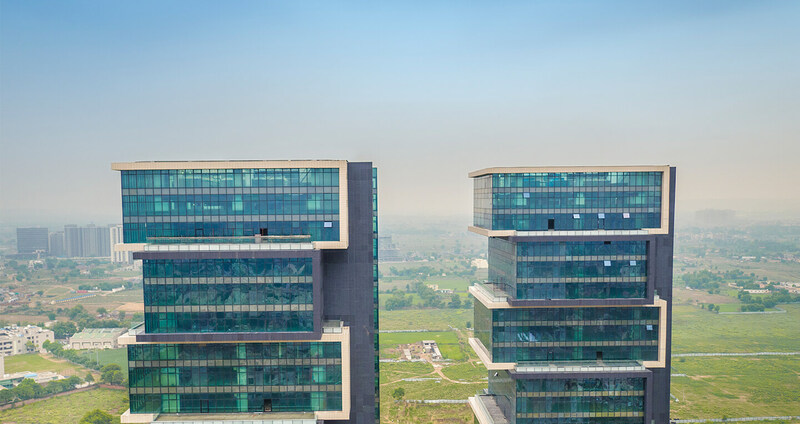 An office complex comprising of three high-rise towers in Gurugram-the millennium city, and a hub of emergent urbanism in the country. 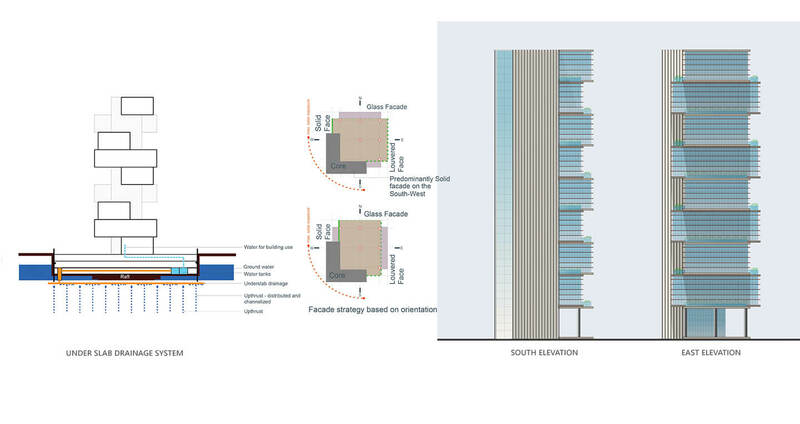 The project looks at redefining the high-rise typology in the Indian context, which has traditionally been low-rise. 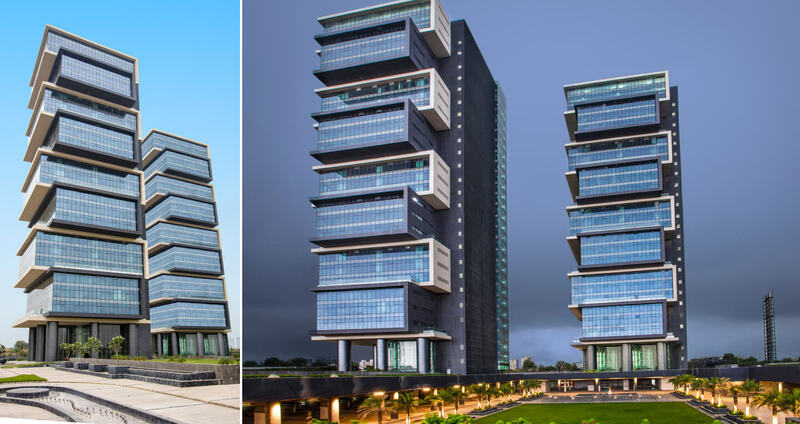 The morphology is an outcome of a stack of cuboidal volumes and a series of attached open spaces, translated as a series of cascading voids - forming sky gardens. 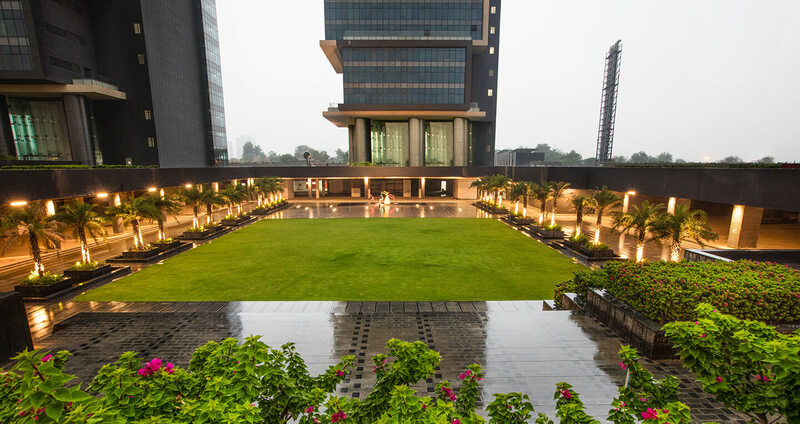 The cascading sky gardens form celebration spaces and encourage socio-cultural interactions. 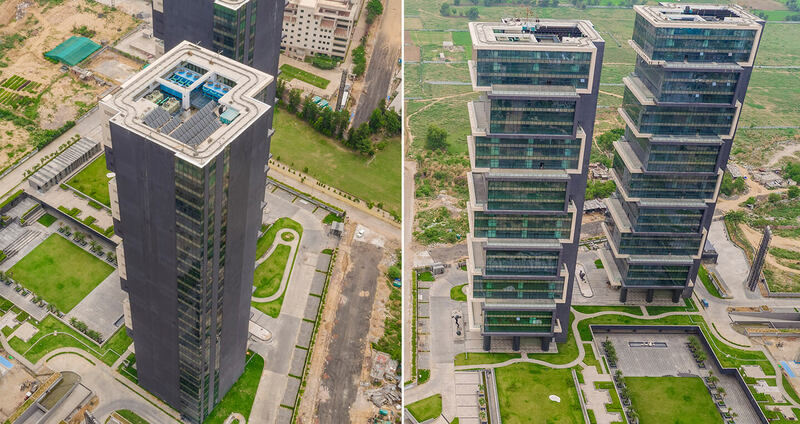 In the parched and dry belt of Gurugram, this site faced a peculiar situation of an underground water stream, with an upthrust pressure that posed a construction challenge. Standard structural solutions would be resource intensive and prone to failure when and if the water levels receded. An innovative ground water harvesting strategy was planned in detail right from the early stages of construction. As per the design, the under slab drain system is spread across 25000 sq. m. and the net water harvested from the underground sumps amounts to 600 litres per day per person of raw water supply, providing a sustainable potable water solution. 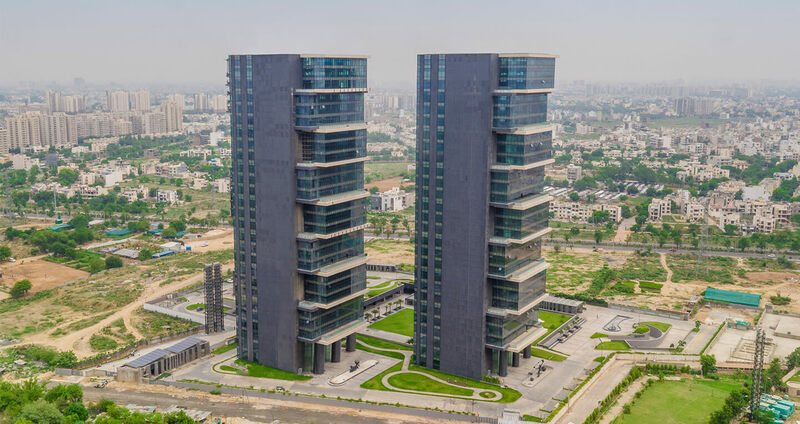 The project won the GRIHA Exemplary Practice Recognition, Passive Architectural Features India. 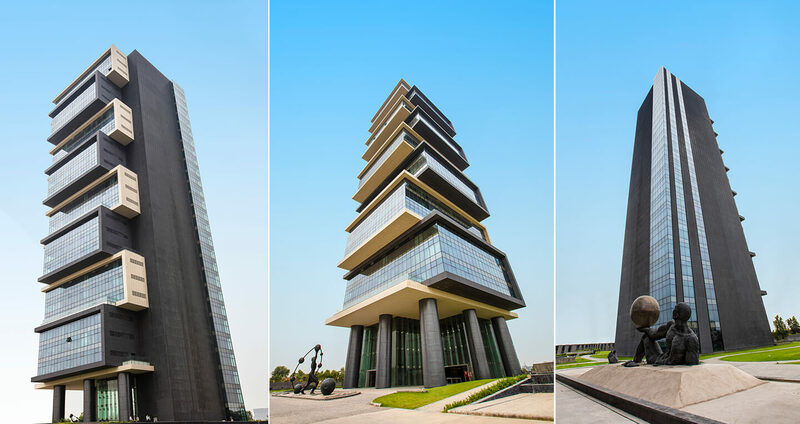 Prius Vision Towers focuses on creating a high-rise morphology that addresses the socio-cultural need for proximity to open spaces, and perhaps still retaining a ‘soul space’ approach to this typology.